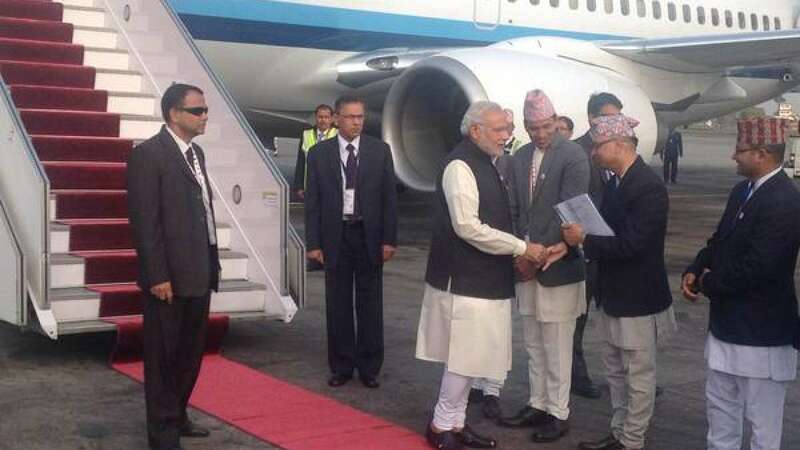 New Delhi : Prime Minister Narendra Modi on Tuesday landed in Kathmandu with an aim to inject new momentum to regional bloc SAARC during its two-day summit beginning on Wednesday. Moments before he left for the summit, PMO released a statement saying close relations with neighbours is a key priority for government. PM was accorded a warm welcome, a cultural performance and guard of honour as he arrived here. Speculations are still on but no clear info has come out whether he will meet his Pakistan counterpart or not. As per Modi’s official plan he will be meeting Afghan President Ashraf Ghani, Bangladesh Prime Minister Sheikh Hasina, Sri Lankan President Mahinda Rajapaksa among others.